It has been confirmed that Canon will not be exhibiting at Focus on Imaging 2011. The exhibition runs from Sunday 6 to Wednesday 9 March at the NEC, near Birmingham. Canon equipment will be available at retailers who are exhibiting. This is not the first time that Canon has decided not to attend Focus on Imaging - it was absent in 2007. Canon has launched the EOS 600D – a compact, lightweight digital SLR. The camera sits at the top of Canon’s entry-level EOS line-up, above the existing EOS 550D and the new EOS 1100D. The EOS 600D provides all the tools to capture stills and HD movies. Picture detail is provided by a high-resolution 18 Megapixel APS-C CMOS sensor which combines with 14-bit DIGIC 4 processing to capture smooth gradients between colours. The camera’s low light shooting capability allows clear, natural images in darker conditions, with an ISO range of 100-6400 that can be further expanded to 12800. The EOS 1100D is a digital SLR for consumers who want to make a start shooting still images and HD video. It features many technologies developed for more advanced models and functions which make it even easier to capture fantastic images straight out of the box. Compact and lightweight, the EOS 1100D is a versatile DSLR that’s easy to carry. When a scene lends itself to video as well as stills, 720p HD video capture is easily accessible via the dedicated movie function on the mode dial. The image can be viewed through the newly-designed, bright optical viewfinder, offering 95% coverage of the scene. Alternatively, Live View shows how different shooting modes will affect the final image on the large rear screen. Canon has launched two new super-telephoto lenses for its EOS range – the EF 500mm f/4L IS II USM and the EF 600mm f/4L IS II USM. Designed to meet the needs of the most demanding sports and wildlife photographers, both lenses offer breakthrough performance, delivering consistently high-quality images and incredible mobility. The launch of the models follows a development announcement in August 2010, and the display of prototypes at Photokina 2010 in Cologne, Germany. Canon has announced new two new Speedlites - the 320EX and 270EX II. The Speedlite 270EX II replaces the Speedlite 270EX at the entry level of Canon’s Speedlite range, whilst the Speedlite 320EX is a compact, powerful and versatile flash for users of mid-level cameras who want to take more control over lighting. Both Speedlites are compatible with Canon’s distance-linked E-TTL II system. They can be used on-camera or as slave units controlled by a separate master unit or the Integrated Speedlite Transmitter of the EOS 600D, EOS 60D and EOS 7D. • Speedlite 320EX is available from late March 2011, priced at £249.99/€299.00 RRP incl. VAT. • Speedlite 270EX II is available from late March 2011, priced at £179.99/€219.00 RRP incl. VAT. Both units available from late March 2011. Canon is developing of a telephoto zoom lens featuring an integrated focal length extender – the EF 200-400mm f/4L IS USM EXTENDER 1.4×. 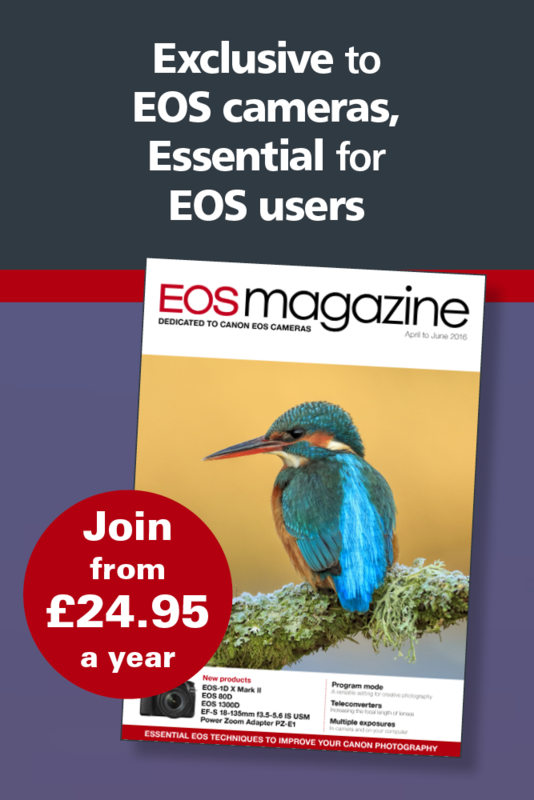 Designed for Canon’s range of EOS Digital SLR cameras, the new lens will appeal to sports and wildlife photographers, offering exceptional flexibility with a built-in 1.4× extender that creates an increased focal length range of 280-560mm. Another EOS milestone has been reached with the production of the 60 millionth EF lens, 24 years after the first EF lens was introduced. This significant landmark was achieved on 11 January 2011 during the production run of an EF 70-300mm f/4-5.6L IS USM, just thirteen months after the production of the company’s 50 millionth EF lens.